“Sooner or later, nearly everyone who cares about wine and food comes to Sonoma”—so begins this lively excursion to a spectacular region that has become known internationally as a locavore's paradise. 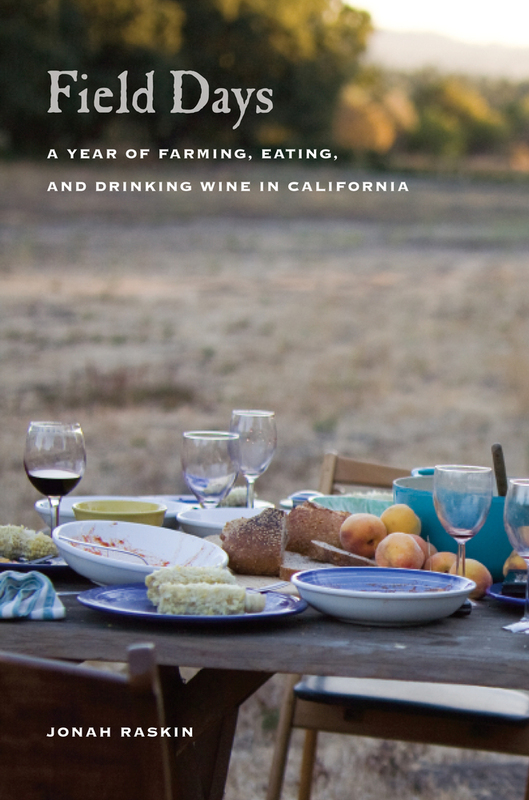 Part memoir, part vivid reportage, Field Days chronicles the renaissance in farming organically and eating locally that is unfolding in Northern California. Jonah Raskin tells of the year he spent on Oak Hill Farm—working the fields, selling produce at farmers' markets, and following it to restaurants. He also goes behind the scenes at Whole Foods. In this luminous account of his experiences, Raskin introduces a dynamic cast of characters—farmers, chefs, winemakers, farm workers, and environmentalists. They include such luminaries as Warren Weber at Star Route Farm, the oldest certified organic farm in Marin County; Bob Cannard, who has supplied Chez Panisse with vegetables for decades; Sharon Grossi, the owner of the largest organic farm in Sonoma; and Craig Stoll, the founder and executive chef at Delfina in San Francisco. Raskin also offers portraits of renowned historical figures, including Luther Burbank, Jack London, and M.F.K. Fisher. Field Days is a heartfelt celebration of the farm-to-table movement and its cultural reverberations. Jonah Raskin is Professor of Communication Studies at Sonoma State University and the author of The Radical Jack London: Writings on War and Revolution, American Scream: Allen Ginsberg's "Howl" and the Making of the Beat Generation, and For the Hell of It: The Life and Times of Abbie Hoffman, all available from University of California Press.